For our overnight in Thailand, the ship ported near a city called Pattaya, about 2 hours from Bangkok. I joined a few of the girls from my cast on a guest tour to Pattaya Elephant Village. 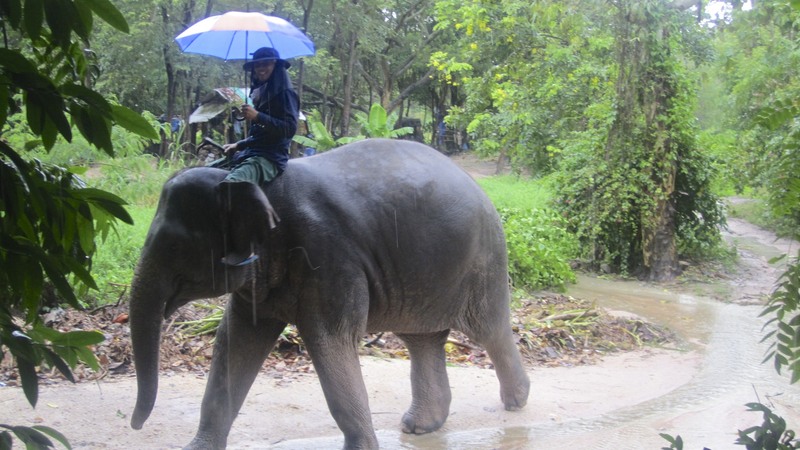 My roommate and I rode a feisty young elephant named Mina through the rain. 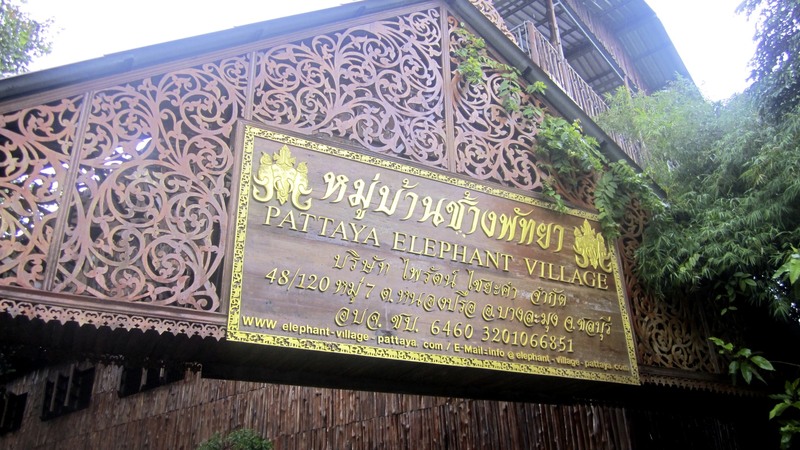 Our elephant tamer, Lun, entertained us with fun facts about Mina’s sister, working at the village, and life in Pattaya. After our ride, we watched the elephants perform tricks in a show, and were able to feed them bananas. One of the elephants was able to count! A member of the audience would tell him how many bananas to eat out of the 5 set in front of him. 3 times in a row, he nailed it! The tour ended with a short lecture in a silk factory. 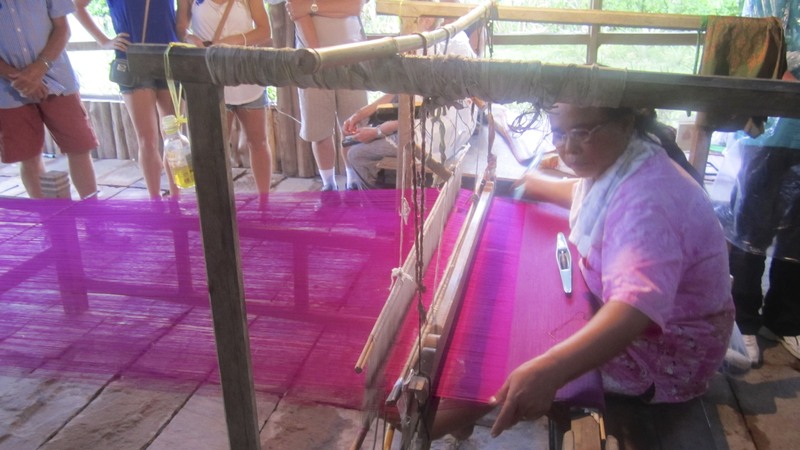 We learned about silkworms, and were able to watch a woman working on a beautiful pink piece of silk. The patience required was incredible. She could produce just one meter of silk in two weeks, but the resulting product was perfect. 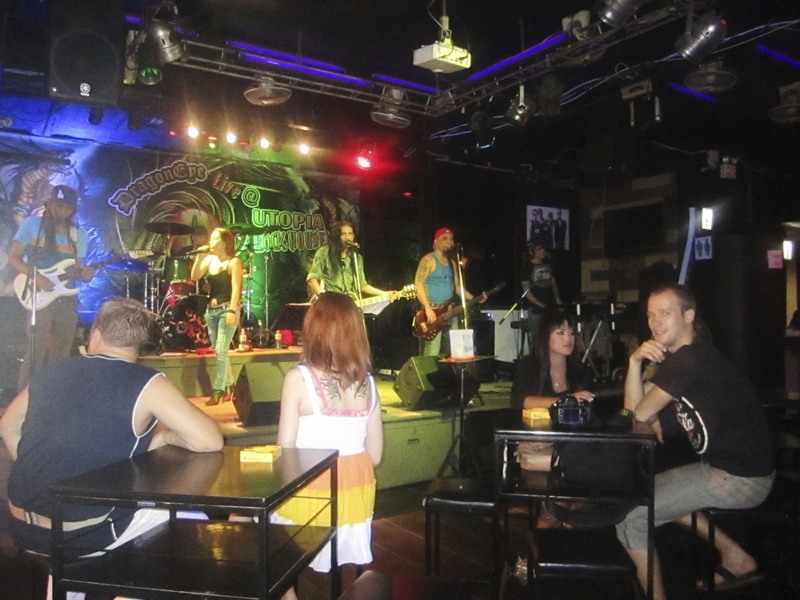 The tour bus took us back to the ship, where we were able to rinse off, regroup, and then hopped in cabs to go to downtown Pattaya. Even on a Monday night, the nightlife was crazy! We saw an incredibly disturbing show at a bar, tried Thai whiskey (40 proof), and then went searching for pad Thai. 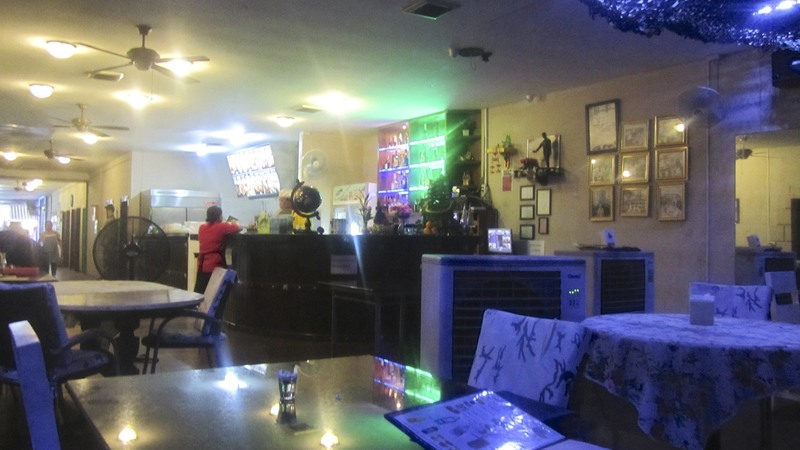 We found a tacky little restaurant on the water that had surprisingly tasty food! 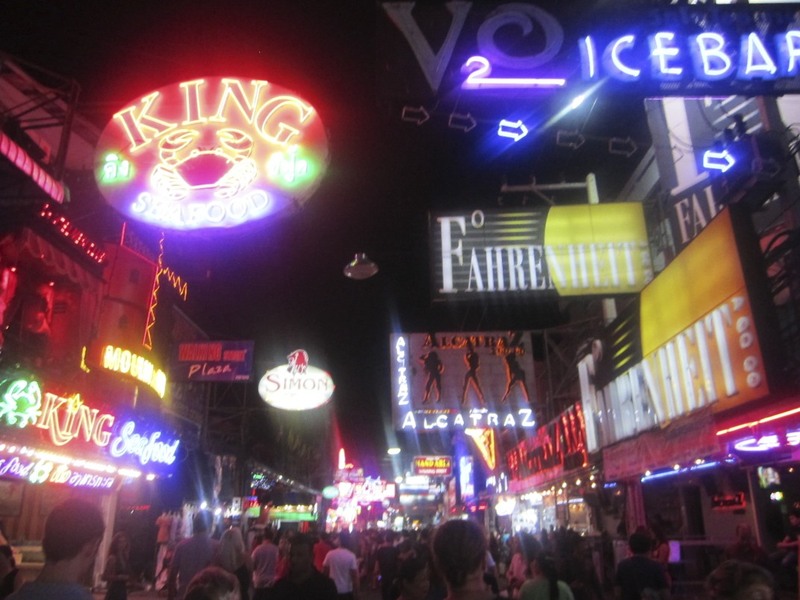 When we went back out on Walking Street, we found some more friends sitting outside at a bar. There was a band playing, so we stopped to join them. The male singer was fantastic, but the girl’s version of “Someone Like You” left much to be desired. Our new big group migrated to a club down the street. We had fun dancing, chatting, and drinking some slushy shots. A few other staff members, officers included, were at the same club. It was great to see them off the ship, having fun! The taxi ride home was quite an experience. The cab was a remodeled truck with benches along the sides of the truck bed, and nothing but a railing across the back. 5 of us sat on the benches, gripping handrails in the center for dear life. We made it safely back to the ship in half the time it took to get to Pattaya. 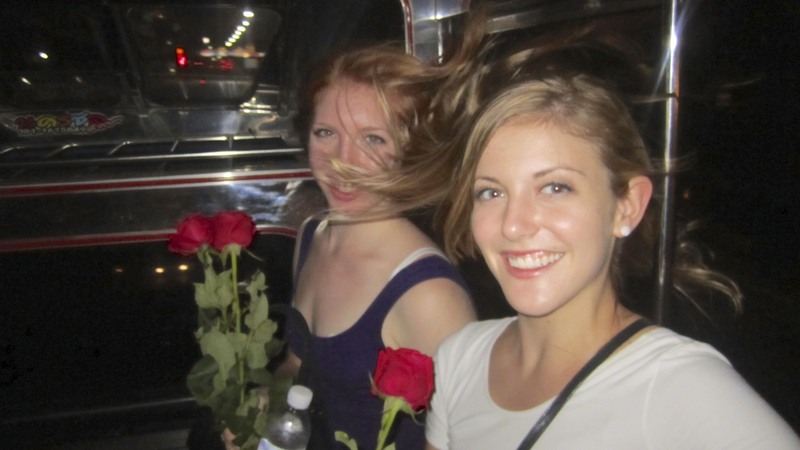 My hair was so horribly windblown; I was surprised ship security didn’t laugh. All in all, Thailand was terrific!